Carmel is a charming beach town on the Monterey Peninsula with mesmerizing scenic beauty. Located next to Pebble Beach, Carmel-by-the-Sea has direct views of white sandy beaches, green golf courses, blue ocean and crashing waves along with views of the rugged shoreline of Point Lobos and Carmel River State Beach. Carmel-by-the-Sea is one the most expensive areas in Monterey county in which to live with a nice mixture of ocean front homes and small beach cottages. Carmel ocean view homes start around $2,000,000 up to $20,000,000. Carmel is best knows as a European-style village with extraordinary beaches and a plethora of boutique shops, dining and art. Carmel has been attracting artists and celebrities alike for decades making it one of the most sought after places to live in the world. It's no surprise that Carmel consistently rates top-10 destinations in the U.S. year after year. 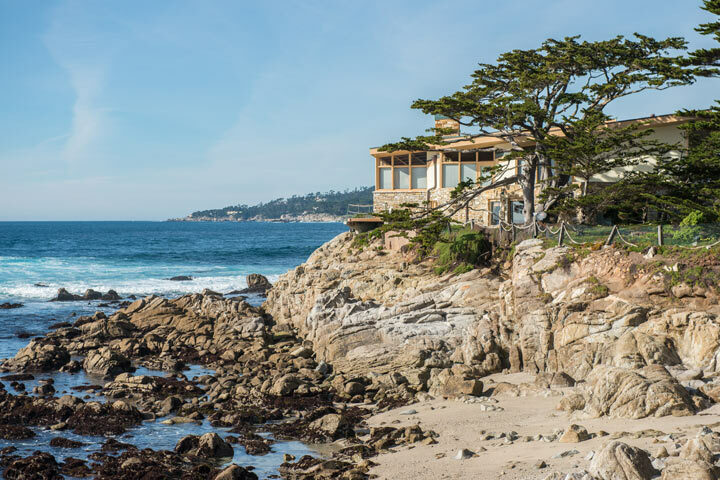 Whether it's a beach house that interests you or horse property with sweeping valley and rugged mountain views, Carmel offers something for everyone. The mild sunny coastal climate makes it very desirable for year round living, but is also very popular as a destination get-a-way. Deer, wild turkeys and all other kinds of wildlife are plentiful on the Peninsula. Carmel truly has something for everyone and features many wonderful neighborhoods including; Carmel Woods, Hatton Meadows, Carmel Point, Carmel Highlands, Carmel Valley and more. Each of these areas offer a unique neighborhood characteristics with their own unique valley and mountain views in all various price ranges. © 2019 MLSListings Inc. All rights reserved. Based on information from MLSListings MLS as of April 24th, 2019 at 3:25am PDT.